As VPN solutions not only increase in popularity but also complexity, businesses and IT managers are faced with the challenge of deploying and maintaining a secure, efficient and scalable VPN solution. A solution that safeguards your information and provides the flexibility needed to keep your team productive, no matter where they are. With over ten years of experience supporting and implementing advanced VPN technologies, Tech Verb can provide your business with the proper VPN solution. 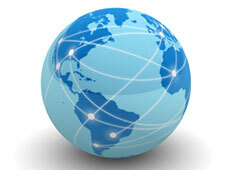 Please contact us to explore the broad range of VPN options suited best for your business.